New Rogue One Mini Sticker Land Pad 6-Page Stationery Set now available! 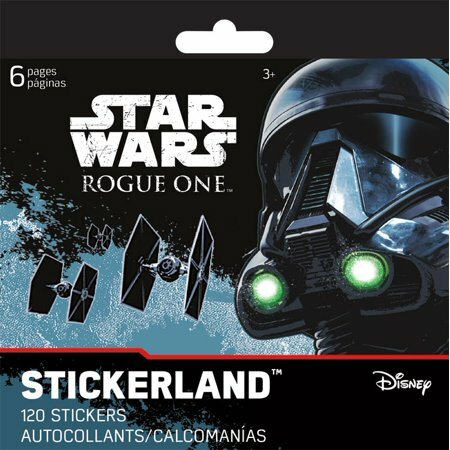 Walmart has debuted a brand new Rogue One themed item: a mini Sticker Land pad 6-page stationery set! This set costs $5.14 and shipping is free. As of this writing there are only 3 of these Sticker Land pad 6-page stationery sets left in stock so order soon. Size: 0.0709” x 5.7874” x 5.7874”.